Barye's Cerf was first sculpted in 1829 and was edited exclusively by the Susse Freres foundry in several sizes, of which this is the smallest size. 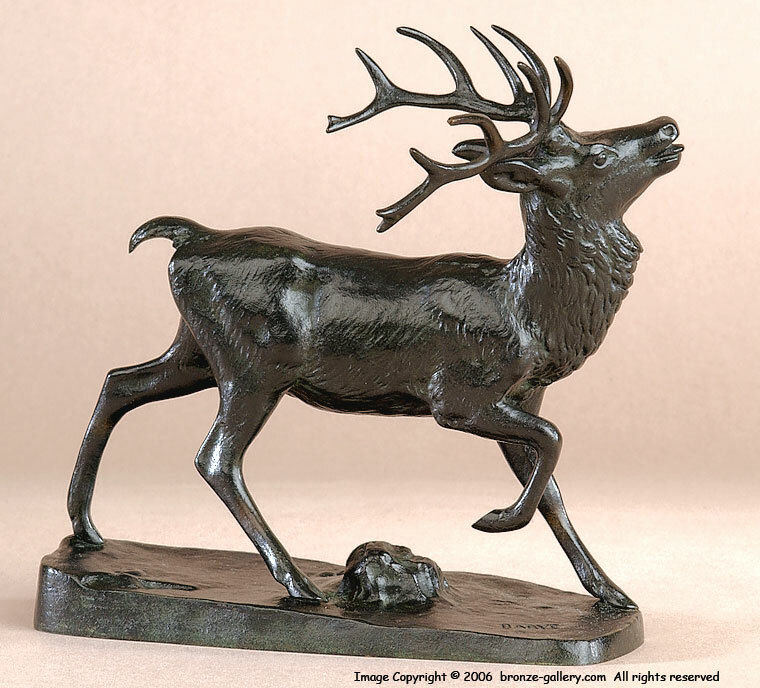 It is a well detailed bronze which loses none of the majesty of the proud Stag. 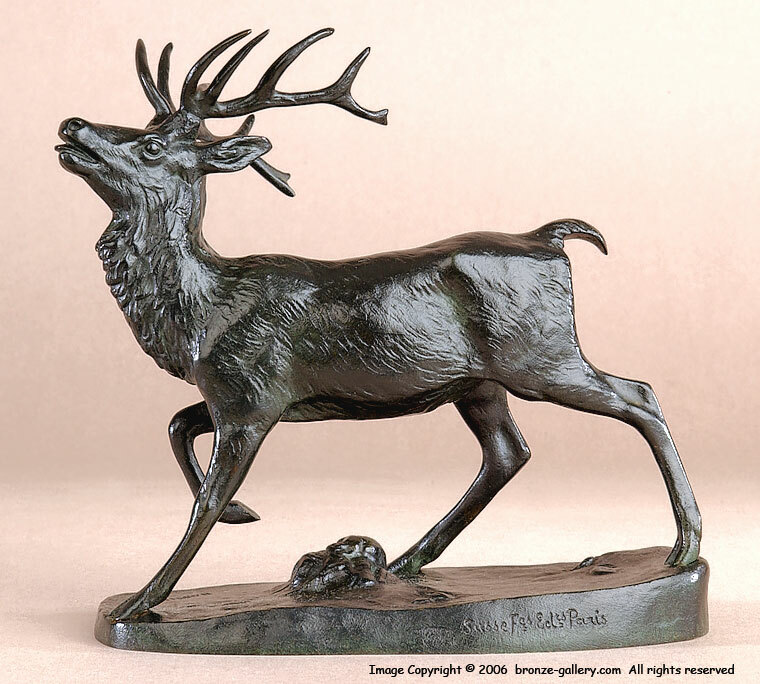 It is finished in a dark green and black patina.